It seems that some of the new buildings in Downtown Brooklyn warrant their own thread. Or is that gray brick and glass? Maybe. I love the shape of this building - it's going to look great when viewed from the North on Flatbush. 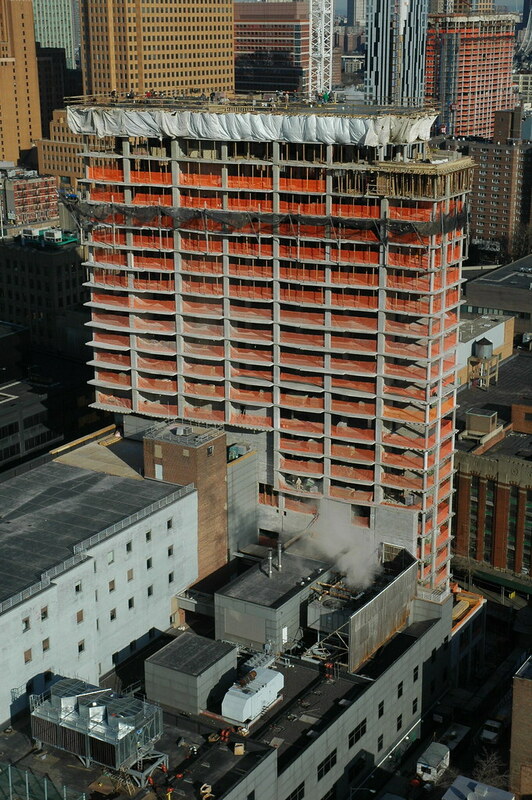 I can see this building under construction from my office at the ESB. This building has just had its first setback. That puts it at about 25 floors so far, give or take. Taken today. Up to about 25 floors. Avalon is also visible in the upper right corner. By the way, note the cantilever in the lower left in my last picture. I haven't seen that mentioned anywhere else, but this building cantilevers over an existing building starting on the 11th floor. Great shot Zinka. Thanks for sharing. Seems to be from Forte'? Most likely. From that angle, there aren't that many other possibilities. Well bye bye view then. Yep, it's from the Forte roof deck. It blocks a small portion of the view, but mostly the view of the Flatbush corridor, which was already blocked by other high-rises. Or adds to the view depending on one's perspective I guess.